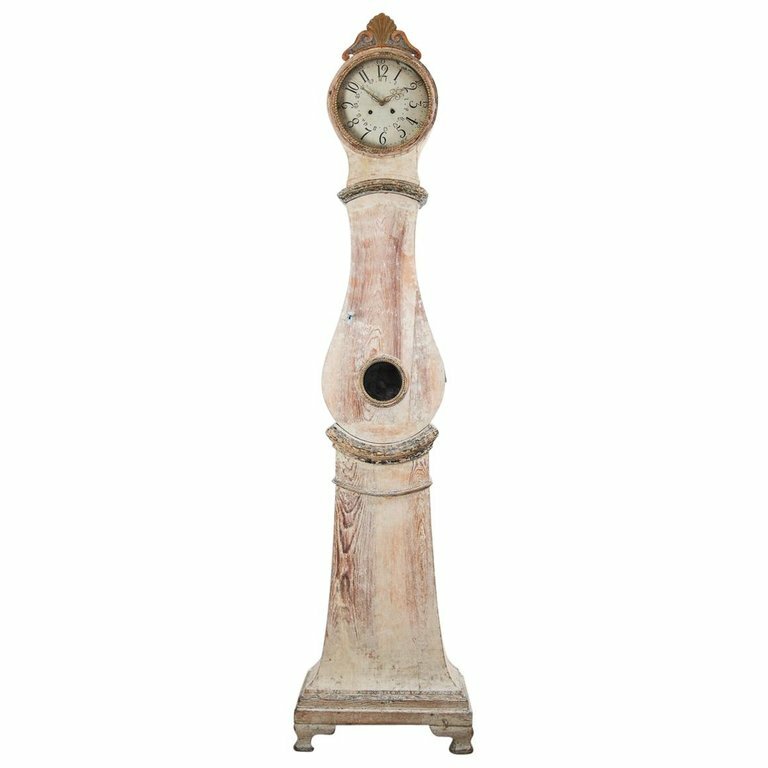 19th Century Swedish Mora Working Long Case Clock in Original Paint | Maison & Co.
A Swedish tall case clock from the late Gustavian period in the classic Mora form. Circa 1850. This charming clock has been dry scrapped down to its original paint surface. Original glass, face, clockworks, pendulum and weights. This clock has been cleaned and serviced and is operating with its original works.